Today's slight cool down will be brief. After picking up some frost tonight temperatures will be on the rebound through the end of the week. Clouds will return, but rain should stay limited through the weekend. Our next best chance for widespread wet weather isn't showing up until the beginning of next week. Skies will remain mostly clear tonight. Temperatures will drop into the low to mid 30s. Expect sunshine to start off tomorrow with some clouds arriving for the afternoon. 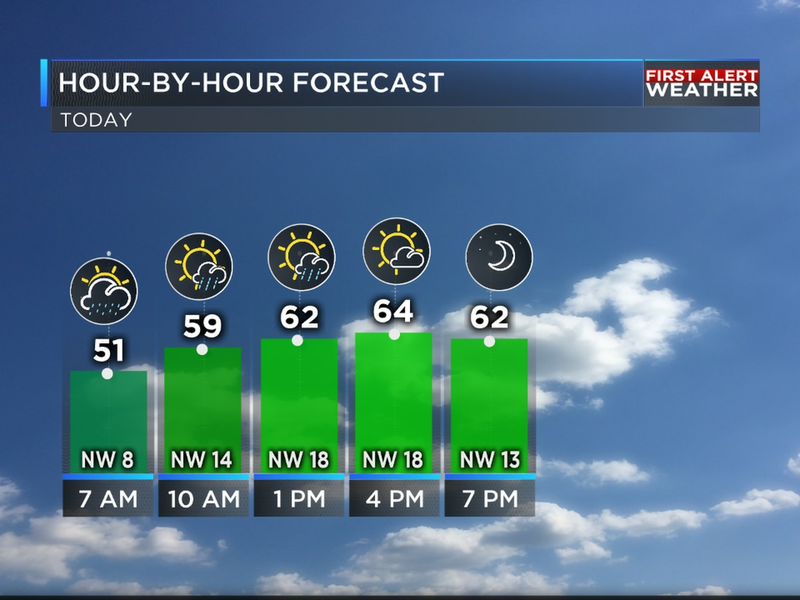 Temperatures will warm back into the mid 60s. We’ll be mostly cloudy Thursday and Friday, but rain will be limited to just a few sprinkles or light showers. Despite the lack of sunshine a southerly wind will help push us back to around 70 for highs. Temperatures will cool slightly for the weekend with mainly gray skies and only a few showers or sprinkles. Highs Saturday will be in the mid 60s. By Sunday we’ll drop back into the upper 50s. A chilly rain comes back in for the start of next week. Monday and Tuesday are looking wet with highs only in the 40s.